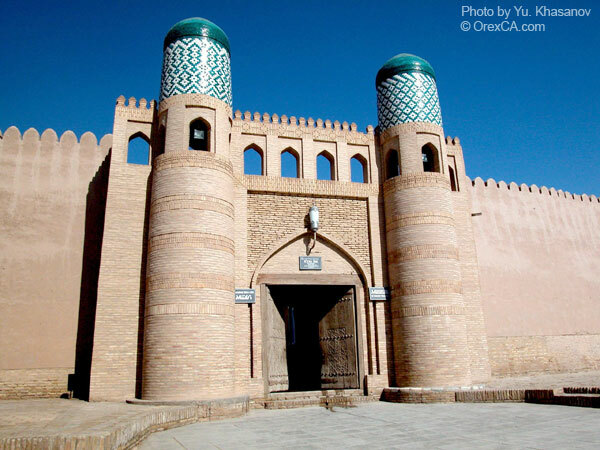 Ichan-Qala (literally "internal fortress") forms the internal city of Khiva. 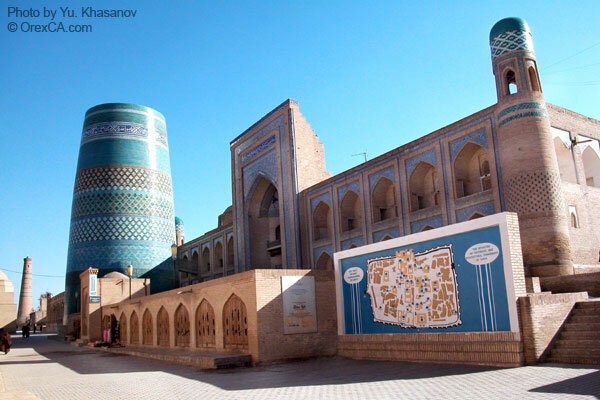 The borders of Khiva coincided with that in the 16th-17th centuries. The clay wall over 2,200 m in length and 7-8 m in height surrounded Ichan-Qala. The wall was fortified with semicircular towers. The embattled gallery went along the top of wall. 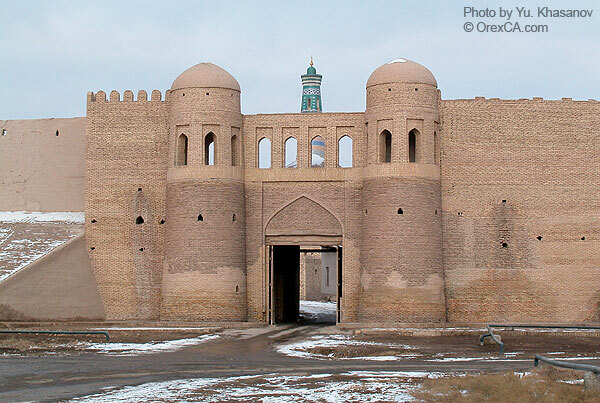 Defensive walls of Ichan-Qala reliably protected Khiva down to invasion of Nadir-shah in the middle of 18th century. 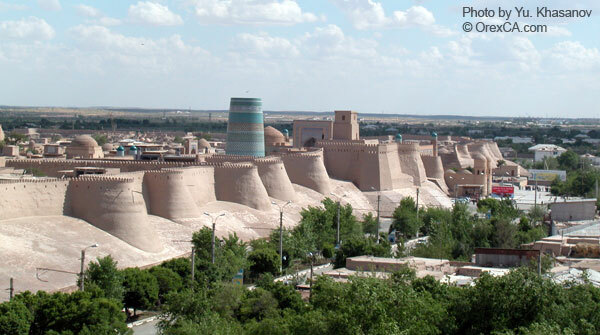 Iranian troops took Khiva and fortification system was partly destroyed. 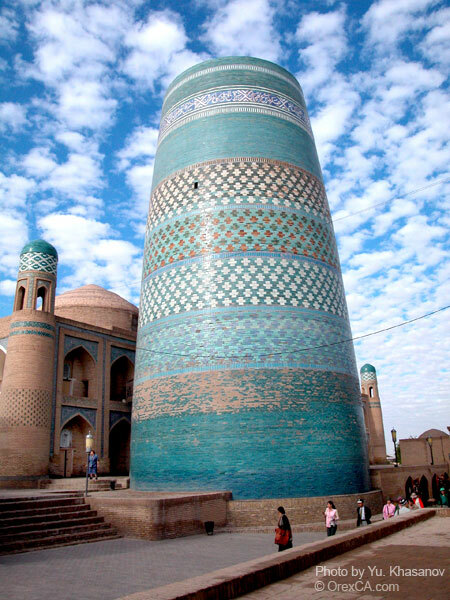 Khiva had expanded at the Qungrad dynasty. 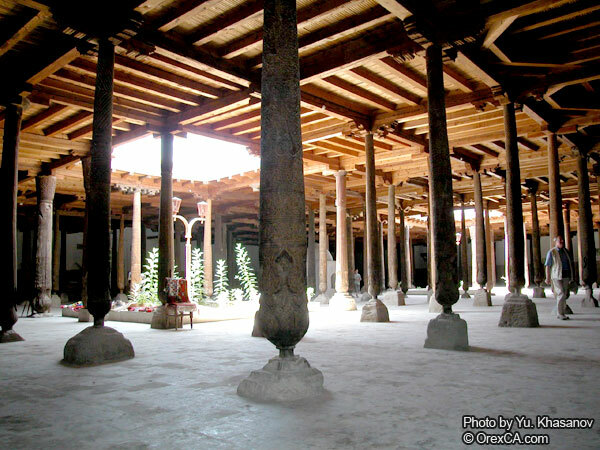 By the 20th century its area had been fifteen times as much as Ichan-Qala. 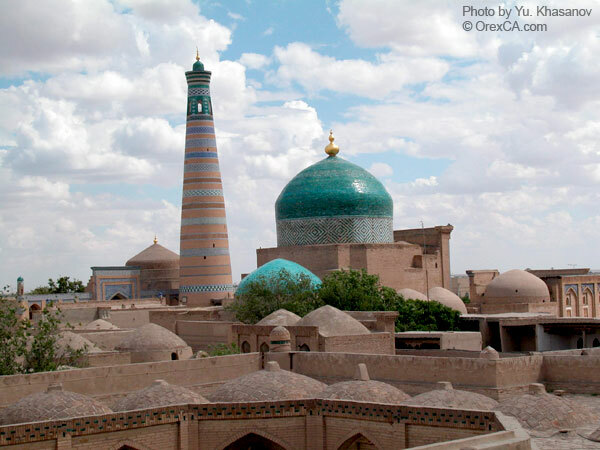 Ichan-Qala, the historical center of Khiva, was inscribed into UNESCO World Heritage List. 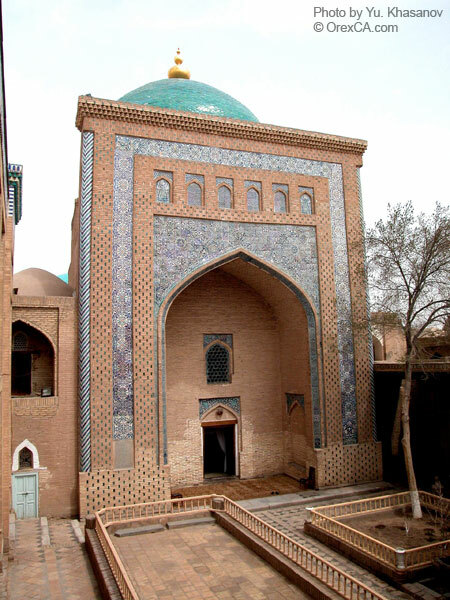 There are more than sixty architectural monuments: palaces, mosques, madrassahs, minarets and mausoleums. 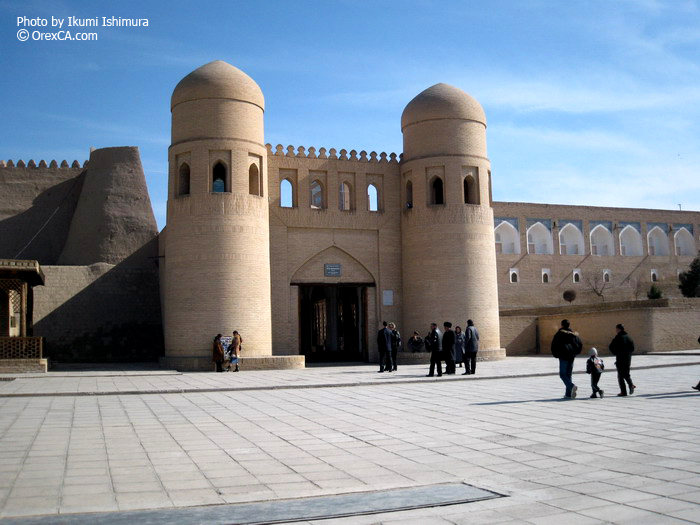 The fortress of Kunya-Ark was constructed in the 17th century in Ichan-Qala for khan's administration. 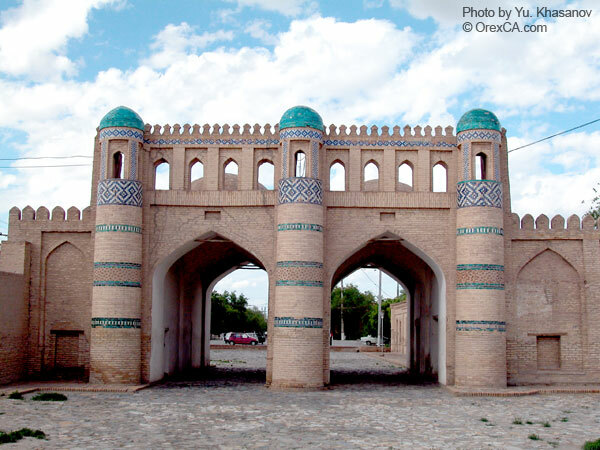 Each of Ichan-Qala's four walls has the gates (darvaza). The western gates - Ata-darvaza are located beside Kunya-Ark, the northern - Bahcha-darvaza are on the road to Urgench, the eastern - Palvan-darvaza lead to Hazarasp and the Amu-Darya River and the southern - Tash-darvaza to the Qarakum Desert. 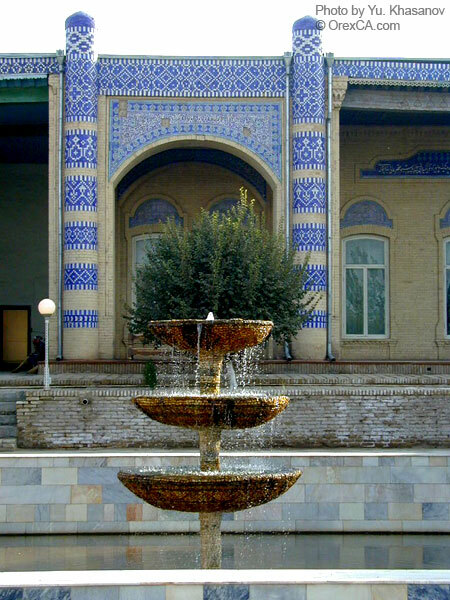 Ata-darvaza were destroyed in 1920 and restored in the 1970s.